Crystal Zig Zag Bangle Bracelet Only $3.64 SHIPPED! You are here: Home / Great Deals / Amazon Deals / Crystal Zig Zag Bangle Bracelet Only $3.64 SHIPPED! 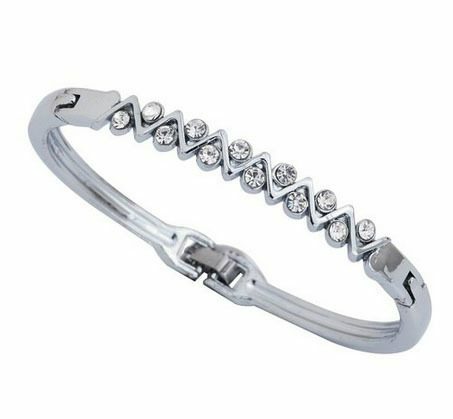 Check out this gorgeous bracelet – this Crystal Zig Zag Bangle Bracelet is just $3.64 (reg. $14.56)! And, shipping is FREE! I LOVE this one! It’s so simple yet so sparkly with the crystals!